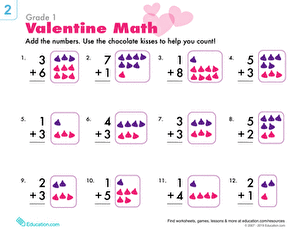 Valentine's Day color by number activities get kids to exercise number recognition while they celebrate the holiday. This Valentine's Day color by number worksheet may look like a sea of hearts right now, but once your child takes her crayons to it, it will transform into a picture! What is the picture of? We're not telling... 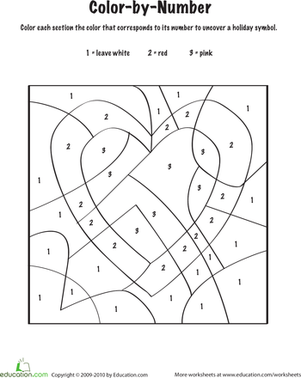 Try this Valentine's Day color by number worksheet with your child. This valentine color-by-number is a great holiday activity for preschoolers. Try this valentine color-by-number to celebrate the holiday with numbers.